Italian manufacturer Caprari announces its new range of EasyWell submersible motors. 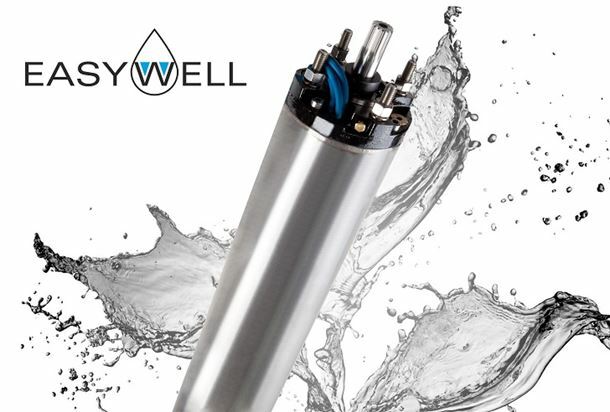 The coupling of EasyWell motors with Caprari's wet ends allows users to exploit the potential of the company’s ‘Defender’, a smart device which protects pumps and motors against electrochemical corrosion, while a special design protects the coupling area against abrasive substances. The mechanical seal is made of silicon carbide, which offers effective resistance to wear, abrasive liquids and thermal shocks. The thrust bearing is oversized with respect to the axial loads of Caprari high-performance wet ends. This is designed to provide a wide safety margin for extreme applications and ensured a long product lifespan. Caprari says that the new electrical and mechanical design has generated a high-performance motor, guaranteed for horizontal operation and with inverters. It can resist thermal and mechanical stress as the EasyWell motor can withstand up to 20 starts/hour, while generating full power up to a temperature of 30°C with the pumped fluid. Caprari’s new Easywell range makes for a richer and more competitive proposal in the electric well pump industry. The P6P and P8P pumps are part of Caprari’s Energy range. Caprari’s Endurance range now includes a smaller model made from AISI 316 stainless steel.